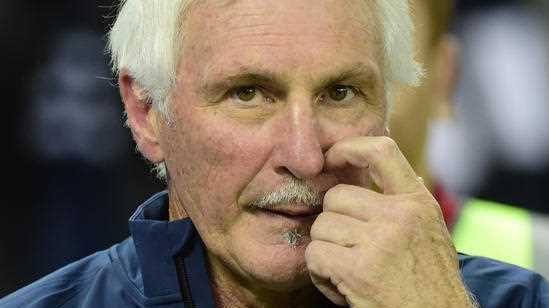 CARLTON has sacked coach Mick Malthouse after a meeting between club directors and executives on Tuesday afternoon. The club has announced a press conference with president Mark LoGiudice and chief executive Steven Trigg at 4.15pm when they are expected to comment on the decision. Malthouse spoke on SEN radio on Tuesday morning, claiming his future was out of his hands and that boards sack coaches when they crack under pressure. On Monday, the club had released a statement to its members saying a decision would be made regarding Malthouse's future in two weeks' time, after the round-10 match against Adelaide and ahead of the club's bye. But Malthouse's comments on radio appeared to antagonise the Carlton board with executives calling a lunchtime meeting in response to the coach's outburst.